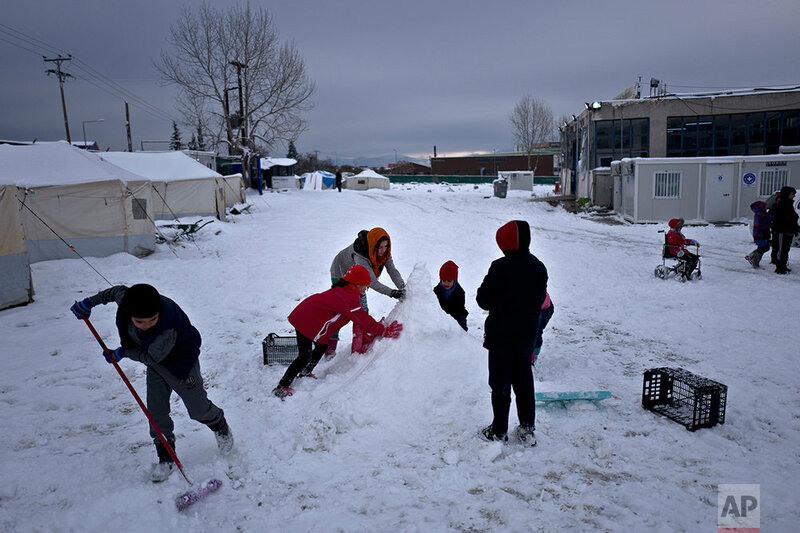 Winter has arrived in Europe, and snow has covered the Ritsona and Oinofyta refugee camps near Athens. The European Commission said conditions for refugees on islands and other camps where they are housed in tents despite severe cold weather, is "untenable." Over 62,000 refugees and migrants are stranded in Greece after a series of Balkan border closures and an European Union deal with Turkey to stop migrant flows. AP photographer Muhammed Muheisen is on assignment documenting the current conditions in the refugee camps in Greece. Below is a gallery of his work.